I wasn't about to leave Charleston, S.C. without at least one book of regional ghost stories, and the title I chose from the gift shop at Patriot's Point was Haunted Harbor, by Geordie Buxton and Ed Macy. I chose this particular book because I'm a big fan of this publisher's other books in this Haunted America series AND because I already owned a book about the haunts of downtown Charleston and wanted something a little different to add to my collection. ...and the emphasis with this book is on the few, lol. I really liked this book---it was interesting and definitely covered plenty of strange incidents and other weirdness, but it did seem a little...light...on actual tales of ghosts. The authors sum it up best at the beginning of the chapter dealing with the Charleston County Jail with the quote, "Some places in the port city don't necessarily need ghosts to be haunted. Their creepy history speaks for itself." I personally would like my hauntings to deal a little more with ghosts, and I don't think the problem was that there are a lack of such specters, even within the confines of the harbor! Anyway, some of the tales you'll read about is the creepy face in the flag at Ft. Sumter, a spooky experience shared by 18 members of a boy scout troop on the USS Yorktown, a UFO filmed in the area, and a mysterious car accident that may or may not have really happened. 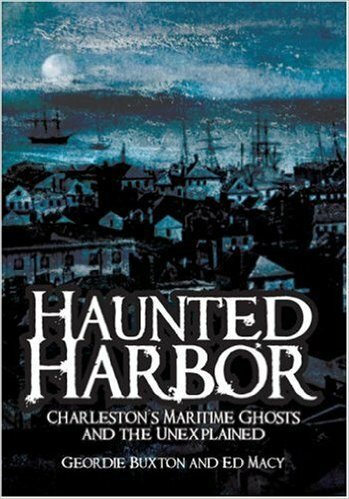 Definitely take a look at this book if you plan on visiting the Charleston area---it'll give you some great ideas about interesting and haunted places to visit that just aren't really discussed in other books about area hauntings. There's a good dose of history thrown in, and even though the text seems a little disjointed at times (possibly because of the dual authorship), you can actually learn quite a bit about the history of this area and why Charleston Harbor has been so important over the years, not only to the city and the state...but to the whole country as well.